In the article we look at Facebook Reactions and Other New Social Media Features. In recent months there have been a number of new features added to our favourite social media platforms including Facebook, Instagram and Twitter. 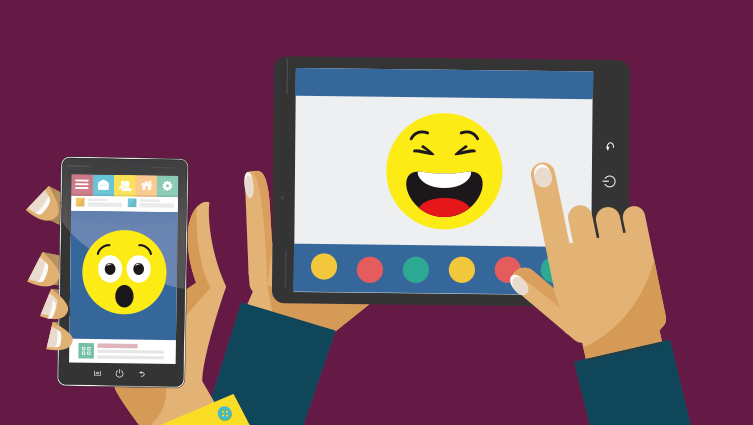 The biggest one being the Facebook Reactions, but what are the other new features and how can they be used as part of your social media marketing and what are the benefits of them for your business? Facebook Reactions are a great way for users to react to your content, whether it is a post about your latest product, special offer or blog post, the new Reaction buttons allow users to tell you exactly how your content makes them feel and gives your business a great insight into the types of content your audience enjoys and engages with. Facebook Reactions actually work in favour of business pages as it gives users a variety of ways to engage with business pages. Known primarily as an image sharing social media platform, Instagram which is owned by Facebook is following in their footsteps and dipping their toe in the video content pool. While you have been able to upload 15 second videos to Instagram for some time, it has remained predominantly a still image platform, but the latest video updates may be set to change that. Now Instagram advertising is built into Facebook advertising they are making changes to help show the benefits of video content, starting with a video view count. The Instagram video view count will help give advertisers and users an idea of how many views their videos are receiving and will highlight the benefit of video content and encourage users and business to utilise the function. It is rumoured that this is only the first of many video updates to be expected throughout 2016, so watch this space! While still a rumour at this stage, Twitter is expected to increase their current character limit of 140 characters to a whopping 10,000 characters per tweet. A change of this magnitude could see the Twitter platform become a fully fledged blogging platform. If this goes ahead it would one of the most significant changes any social media platform has ever made. Late last year Twitter added a poll function, allowing users to post questions to their audience with predefined answers. This is a useful function for businesses as they can encourage engagement from their customers by asking them what they want or how they feel about their brand. If you have any queries or questions about social media marketing or about what Blackberry Design could do for your business, get in touch on 01527 517309 or fill in our contact form.